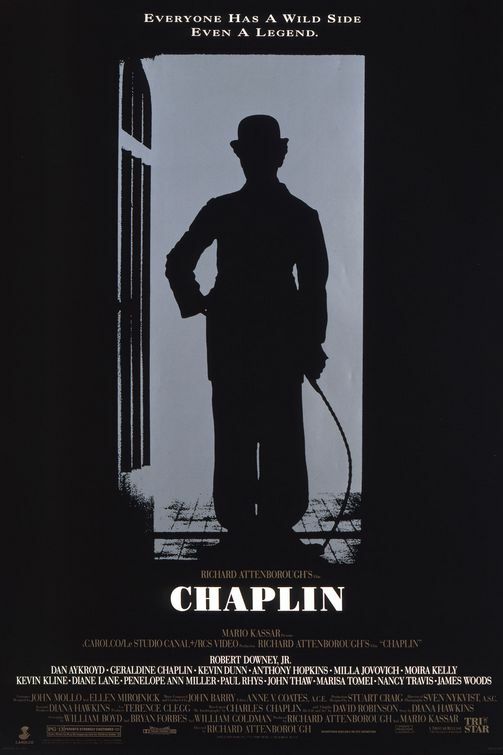 In Richard Attenborough's 1992 biopic Chaplin, Robert Downey Jr. played the titular funny man from the silent film era. 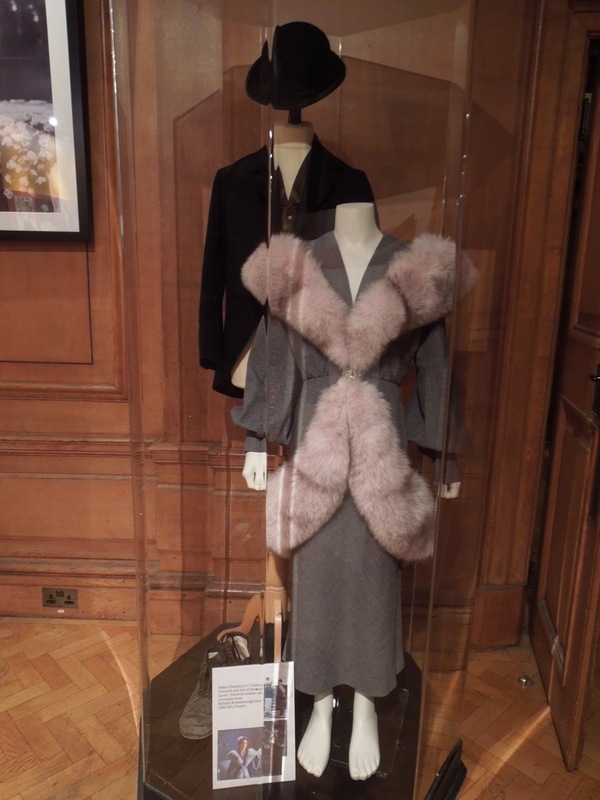 On a recent visit to The London Film Museum on May 15, 2012 I photographed this selection of original costumes featured in the movie. 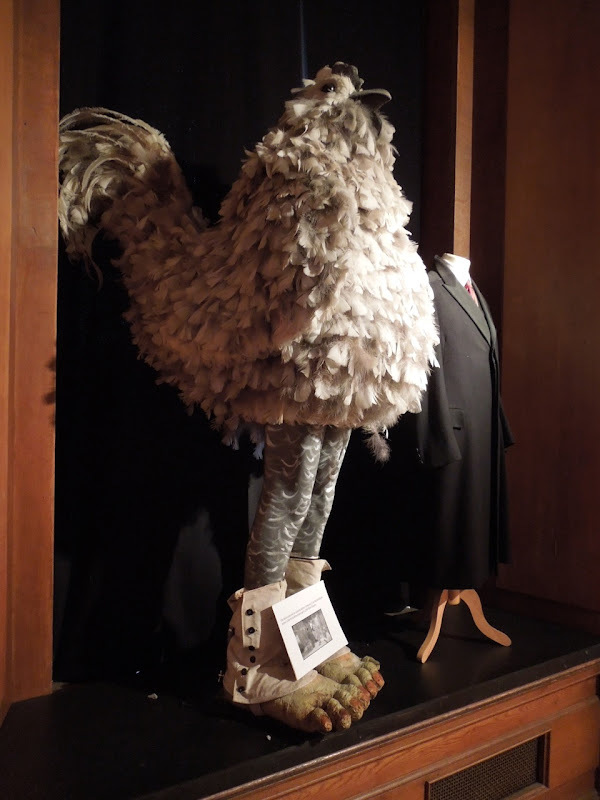 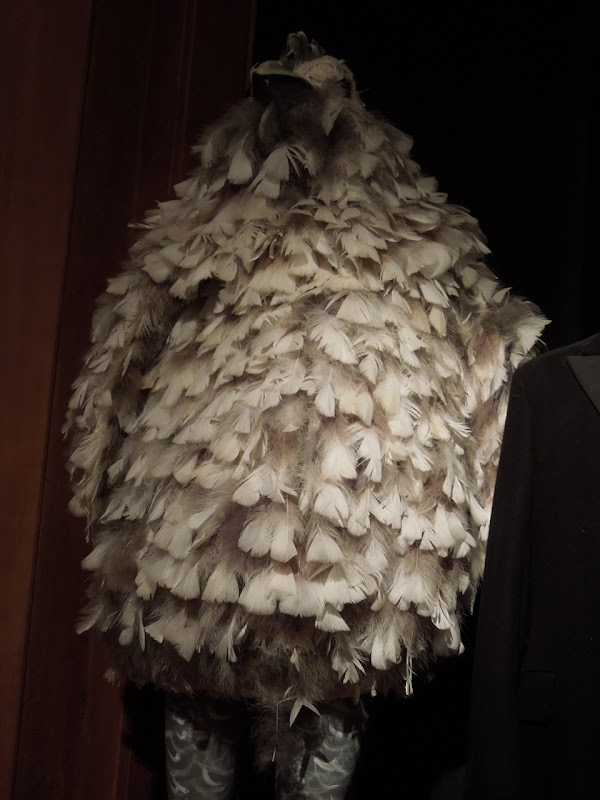 Included in the special exhibit of the influential and iconic film star was this magnificent 'Bird costume' from the 'Gold Rush' scene in Chaplin, along with another outfit worn by Robert Downey Jr. in the role. Ellen Mirojnick and John Mollo are credited with the Costume Design on the biopic. 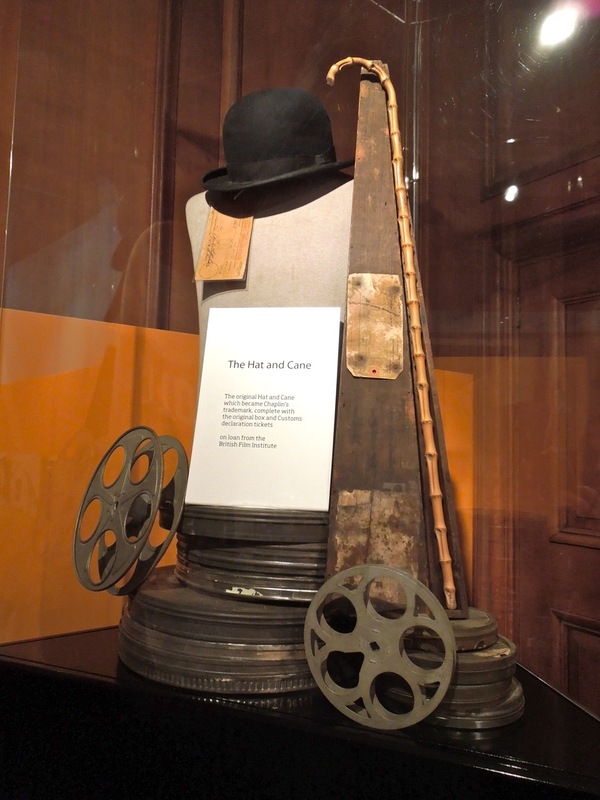 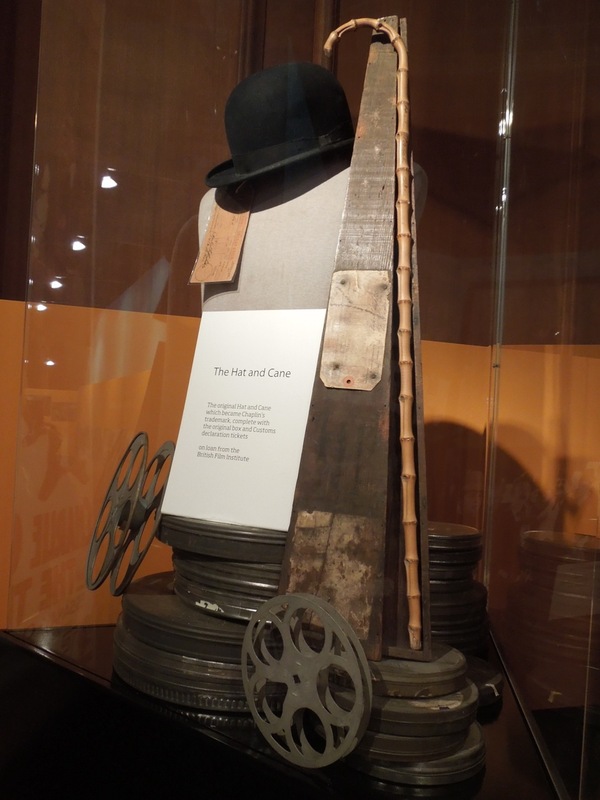 In addition to the movie memorabilia from Chaplin, the exhibit also had this original hat and cane used by Charlie Chaplin on loan from the British Film Institute. 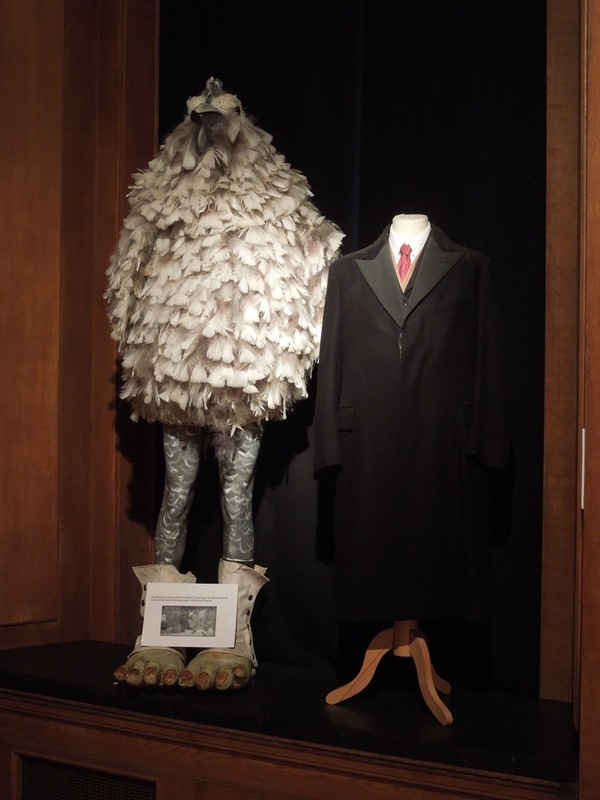 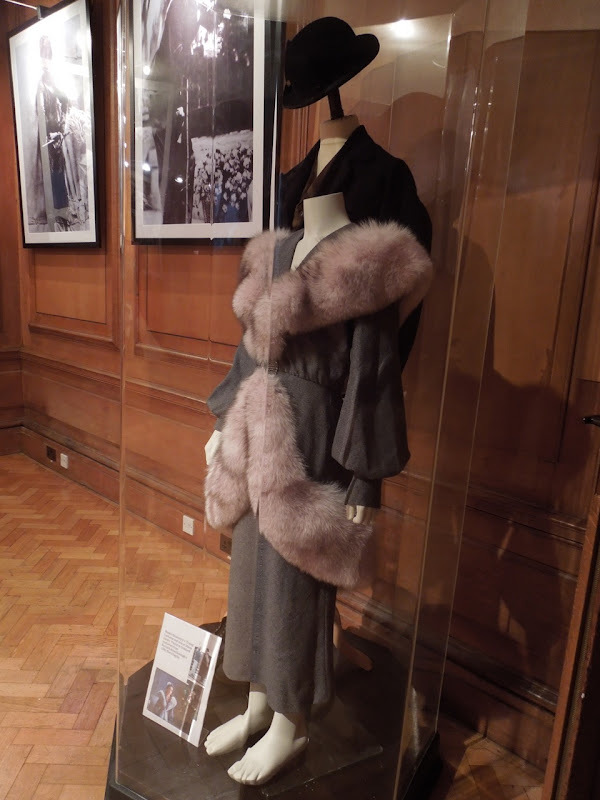 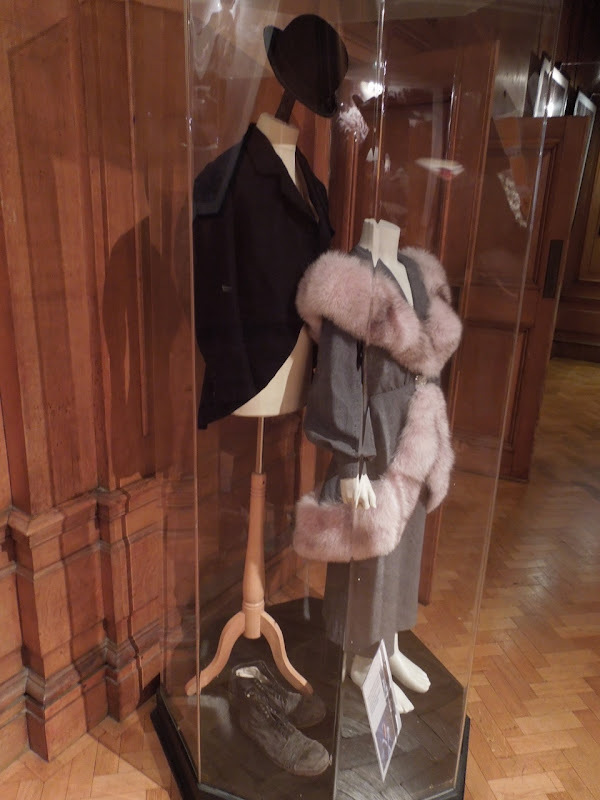 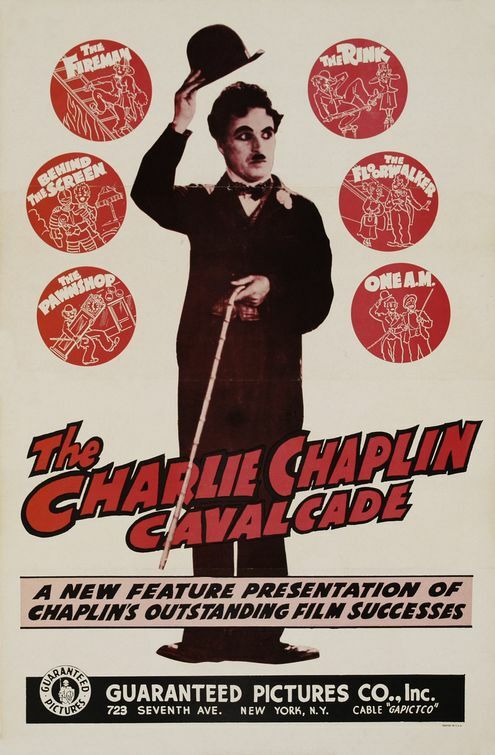 In addition to the 'Bird costume' they also had a version of Chaplin's trademark 'Tramp' outfit worn by Robert Downey Jr. and a costume worn by Diane Lane as young Hollywood actress, co-star and Chaplin's third wife, 'Paulette Goddard'. 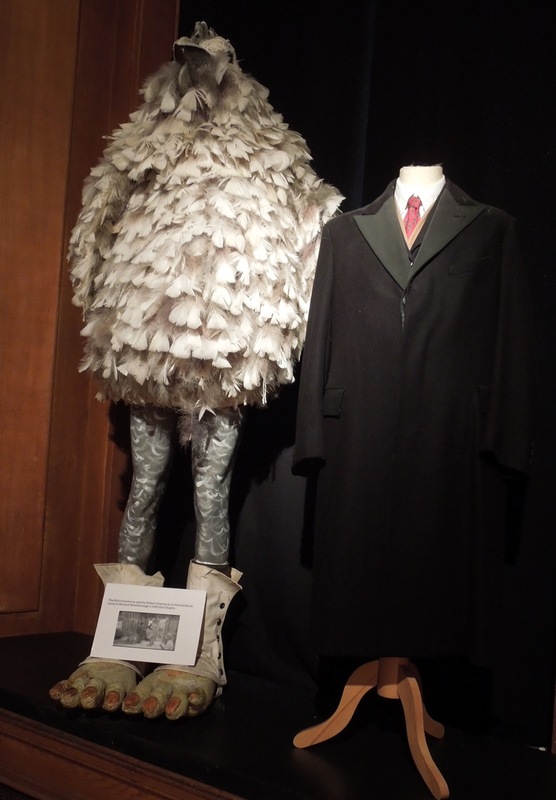 Actual costumes worn by Robert Downey Jr.